-Support the mission statement of the Museum–We are a community museum that provides gateways to the New Deal history and living legacy of Greenbelt, Maryland. The Greenbelt Museum inspires residents, students, and visitors to explore this planned cooperative community. The Museum Curator/Director is responsible for the Museum and is solely responsible for its digital collection. The Curator/Director will work with the Friends of Greenbelt Museum (FOGM) Board to improve the Museum. With the approval of the Collections Committee, they shall have the authority to accept acquisitions for the Museum collection. The Curator/Director will report annually to the Board on the condition of the digital collection. This policy is a living document and will be regularly reviewed as digital preservation technology and strategies naturally evolve. The Museum utilizes the Levels of Digital Preservation from the National Digital Stewardship Alliance (NDSA) as broad guiding principles when creating policy and their digital preservation approach. Below are the recommended file types for the Museum’s digital content. While donations in different formats will be considered based on content and collection needs, acquisitions in the supported formats will be given priority. These formats were chosen because they are open source, widely utilized by the digital preservation field, and more likely to ensure file stability over time. If the Museum acquires digital content in a different format than those listed above, it will be converted to a recommended format, provided the file’s original content and function will remain intact. Any questions or concerns can be directed to the Curator/Director whose contact information is listed on the Greenbelt Museum website. 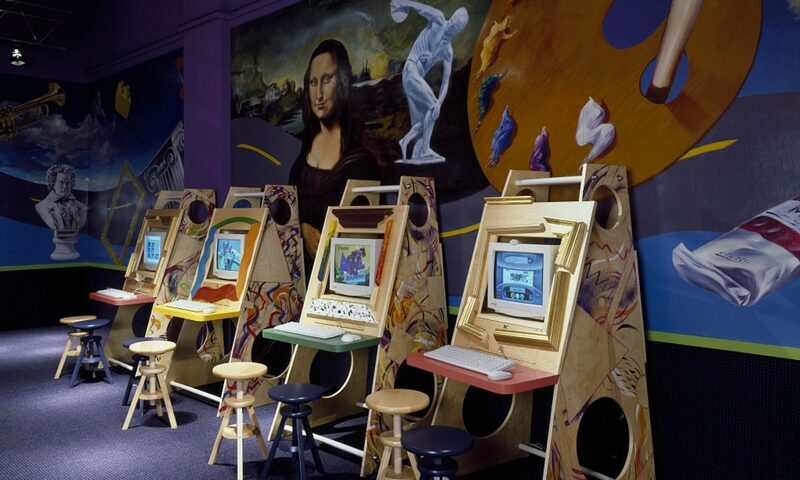 At least two copies of the Museum’s digital collection will be maintained in two separate locations at all times: one with the Curator/Director’s computer and one with the city of Greenbelt’s IT Department. A third copy of the collection will eventually be kept with a secure cloud storage service. The Curator/Director will perform fixity checks twice per year on all copies to ensure that they are identical in number of file formats and metadata. Verifying fixity information allows the Museum to ensure that they have received the files they expected; check for corrupted or altered files; and to communicate to users that the organization’s digital objects are authentic and trustworthy. A master inventory will be kept of all digital objects; one copy with each backup of the collection. Files will be updated as needed. Digital records donated to the Museum by private donors or other organizations will be ingested using Exactly, a free tool offered through AVP that guarantees secure transfer of content and authentication of file integrity. Digital archival records are currently handled differently than artifactual records and are not included in the Museum PastPerfect catalogue. However, it is imperative that the metadata for these records be standardized and consistent across the collection. -Administrative data, or technical information such as when the file was created, file format, who can access it, and intellectual property rights. -Descriptive data, or data that describes the object for purposes such as identification and searching. When selecting material for digitization, the Museum will first ensure that there is copyright permission to digitize the original files and to make surrogates of the digital copy for preservation and/or distribution. They will then select the appropriate file format from the list of recommended formats. Photos and documents should be scanned at 300 dpi. All actions taken during the digitization process should be documented and included in the object’s metadata. Backup copies should be created at the point of ingest. Bit-level preservation: all of the practices that preserve a file’s original content as it was collected or created. Dots per inch (dpi): a measure of how many dots of color or shading are contained within one inch. Often used interchangeably with pixel per inch, or ppi. Fixity: the property of a digital file or object being fixed or unchanged. I go through the same formatting issues every time I post something to Word Press so I feel your pain. I found your preservation policy to be thorough and well in tune with your institution’s needs. I like that you included a policy section on digitization (I didn’t think to do that!) and that you have a glossary. I think that last part will be helpful to anyone new who comes into Museum who might not have a lot of experience with digital preservation. I’m curious about your thinking on including a Responsibilities section. My institution seems to be similar to yours (one person pretty much running the show) and it seemed like in many of the policies we read, the Responsibilities section was there to articulate players in a multi-component game. (so to speak). What led you to include that piece in your policy? No knocks, I think it’s a good thing. I considered putting that section in mine but felt it wasn’t necessary since the institution is so small. Maybe I should have. So full disclosure: Greenbelt has a Responsibilities section in their Collections Policy, and I felt like my document should align with their already existing format. So some of that section is practically verbatim from the other policy, just edited a bit to make sense in the dig preservation context. Also, despite it essentially being a one-woman show there, a responsibilities/implementation piece still seemed important for clarity and transparency purposes. And the digitization piece wouldn’t have been in there if the Greenbelt Director hadn’t asked about it! I was really grateful for her feedback; hopefully the museum will find the policy usable/useful in the future. Your response to Gwen pretty much answered all of my questions as well. I had wondered how much of those decisions were made in order to appease or fit in with the organization’s idiosyncrasies. A fair amount of my policy document was written with specific audience members in mind as well. When I think about it, there should probably be an entire class period dedicated to the role diplomacy plays in digital preservation. Yeah, I agree that’d be a worthwhile topic & discussion to have a class on. It’s not always feasible to have a “one size fits all” policy template, maybe even more so for small organizations that are less likely to have a lot of FT staff, let alone digital preservation professionals. I thought a lot about how to incorporate roles and responsibilities as well and opted to use the phrase “designated staff person” in different sections as opposed to holding particular people or positions responsible. My organization is essentially 3 people within a larger department. I think a lot of the responsibility will fall on one person initially, but I thought this could be the basis for a larger discussion for how to make this work within the department’s IT infrastructure. I liked the source material that you used for the section on digitization. It’s a little less intimidating than the FADGI guidelines if you’re just getting started. “Designated staff person” is a good idea! It’s less restrictive than putting one person on the hook for everything and like you said, allows for future conversations if the organizations grows and incorporates more staff. Tricia, your policy showed me all the little parts that I missed in my own. Great job. I liked your extra explanations as to why things were happening and not just, the museum will do x, y, z. I’m glad you mentioned in your comment to Gwen that you were modeling off of the institutions current policies. It must have been nice! 😉 I also semi-forgot about copyright issues, which is really bad, but I’m glad you mentioned it in yours. Really great policy! This may seem like a little thing, but I like your use of bullet points, which I think makes the document a little easier for someone to skim and take in at a glance (which, let’s be honest, may be how people will read it in the future). I also like how you called it a living document. I wouldn’t want my organization to think that they are “locked” into whatever I write or to think that the document should be thrown out or forgotten if it doesn’t fit what their needs are at the moment. I hope that they will continue to change, adapt, or add to it as necessary.